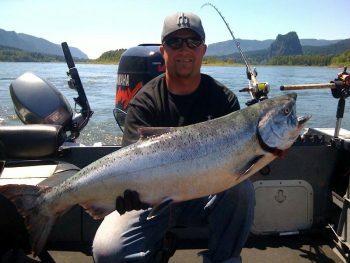 Fish Hunters Guide Service is your full service lower Columbia River fishing guide for Oregon and Washington. We fish year round for Salmon, Steelhead and Sturgeon in the Columbia River, Willamette River, and Northwest tributaries. Fishing in the beautiful Northwest has been a tradition in my family for generations that I would like to share with you. We take much pride in our rivers and scenery that we take our customers to fish and see. The Pacific Northwest holds some of the most dramatic and breath-taking scenery for any fishery, anywhere. 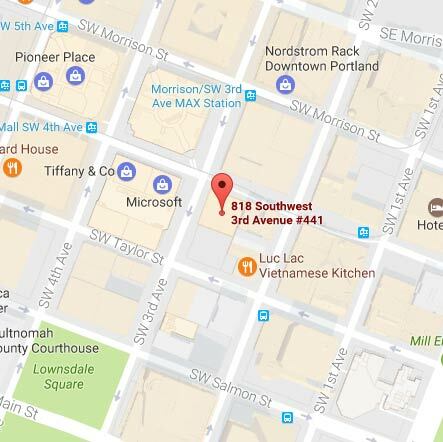 We want our customers to appreciate and value all the Northwest has to offer. From waterfalls to mountains, glacially fed streams and a variety of tree filled riverbanks make each trip unique. I love the Pacific Northwest and everything it has to offer, I was born and raised here and have lived here my whole life. As a local guide, I have mastered these fisheries and locations. Pro guide Travis Choquette, has spent countless, hours, days and years on these local fisheries perfecting his techniques. Fishing is a passion of mine that I have dedicated my life and career to. I am constantly striving to provide the highest quality experience possible through hard work and perseverance. I plan out my trips weeks and months ahead of time-based off my studies and experience from past years and fishing seasons to provide you the best trip possible. I spend many hours preparing for each trip, preparing homemade baits, custom designed tackle, specialized rod and reel combinations unique to each fishery. I provide superior customer service, communicating with my customers to teach them the techniques of each fishery while on their guided trip. I am self-motivated, very outgoing guide that is dedicated to making your trip the trip of a lifetime. I want the respect of my anglers by showing hard work and dedication to the fisheries so my customers can sit back, relax, and have fun. Nothing means more to me than watching a new or veteran angler with a huge smile on their face creating memories of a lifetime. Thank you for visiting my website and supporting a local Northwest business. I look forward to getting your trip booked and creating new relationships. We are now booking trips for Spring, Summer & Fall Chinook, Summer Steelhead. We also have other trips available so please call and let us know your preference so we can discuss the absolute best possible time for you to book a fishing trip with us. I am a United States Marine, and also an avid Fisherman. I'm currently stationed in southern California. I've been fishing with Travis for 3 years now. After talking with him on the phone I chose to book my initial trip due to his knowledge of the spring and fall salmon seasons. Those are my fisheries of choice. My time is valuable and I require a professional and knowledgeable guide who is going to put me on the fish. Travis will not disappoint. He runs a clean safe boat and is very organized. He has catered to my father on a few trips and is very patient. He fished with the best tackle and maintained a great attitude in all conditions. If you're looking for a great guided fishing experience I would highly recommend Fish Hunters Guide service. I recently took clients on a Spring Salmon fishing trip with Fish Hunters Guide Service. Fishing with Fish Hunters Guide Service was an awesome and exciting experience! Captain Travis is very knowledgeable and motivated he made us all feel very comfortable. Travis put us on the fish all day and there was not a dull moment. I have booked trips with several guides and you can truly tell Captain Travis enjoys what he does and is not just out there to earn a pa check. We have already booked several other trips with him and are recommending him to several of our other clients. I would recommend Fish Hunters Guide Service to anyone who wants to enjoy the amazing fishery's we have here in the Pacific Northwest. 5 STARS ALL THE WAY!!!! !